9711 Danwood Lane N. W.
This property offers 8 out of 40 units of rental assistance subsidy through the USDA Rental Assistance program. With subsidy you will pay 30% of your income for rent. 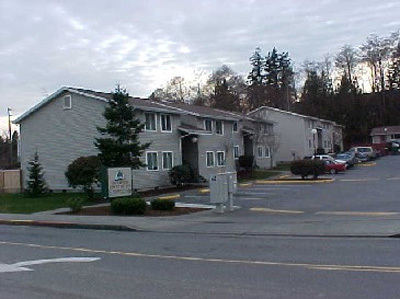 A comfortable affordable family property located next to the Silverdale Mall. We have 1, 2 and 3 bedroom apartments at rent restricted levels with limited Rental Assistance available to qualifying households. Very close to schools and shopping. Income Limit Details: USDA Income limits and Washington State Tax Credit limits apply. Please call for eligibility. Rent Detail: This property offers 8 out of 40 units of rental assistance subsidy through the USDA Rental Assistance program. With subsidy you will pay 30% of your income for rent. If subsidy is not available there will be a base rent that you will be required to pay (non-subsidized rent) up to the maximum rents listed below. Please call the property for details.